Maureen concentrates on commercial litigation and has eighteen years of experience in matters involving banking, intellectual property, labor and employment, insurance defense, environmental and product liability. Maureen’s litigation experience includes management of complex domestic and international matters. 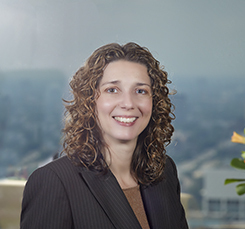 She has vast experience in all phases of discovery, including managing large-scale document productions and preparing for depositions, and has assisted in preparing for trial. Maureen also has broad document database experience. Maureen received her Bachelor of Arts degree in Government and Politics in 1997 from George Mason University, Fairfax, Virginia.